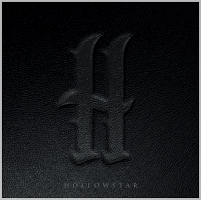 Hollowstar have been making a bit of a name for themselves since 2016 having been supporting the likes of Stone Broken, and Dan Reed Network. A great fit for the NWOCR genre with solid playing, and towering vocals of Joe Bonson akin to an early Paul Rodgers these guys are going to fly. Top this with a top five place in Planet Rock award for Best New Band, it can be readily seen why they’re making inroads in the music scene. San Diego troupe Pharlee feature a line-up of musicians who should be familiar to erstwhile fans of the US West Coast blues/doom scene, bringing together as they do Budrows vocalist Macarena Rivera, Harsh Toke guitarist Justin ‘Figgy’ Figueroa, Sacri Monti bassist Dylan Donovan and Zach Oakley of Joy and Volcano, who swaps guitar for drums on this debut six-track offering. This particular collaboration should also be familiar to European audiences, as they were part of the ‘San Diego Takedown’, alongside the likes of Earthless and the constituent members’ “other” bands at last year’s Roadburn festival. Thanks to a very raw production quality, the greatest strength of ‘No Prisoners, No Mercy’ is that it sounds like a live recording. 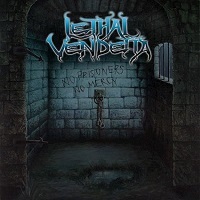 The debut from Sydney thrashers Lethal Vendetta is one of those “rough around the edges” albums, where it’s entirely possible it was recorded in a single take. There’s no major studio effects and you get a very good idea of what they’d be like on stage. This is energetic and upbeat metal, made by headbangers who are clearly having a grand old time playing music.